Jericho Rosales says he and wife Kim Jones want to explore the world together. After tying the knot last May in an intimate beach wedding in Boracay, Jericho Rosales admitted in an interview in HOLA! Philippines that he is still on a high even months after the nuptials. “It’s really different. It’s just nice to have someone to share a lot of things with. To be married to Kim is a dream come true in itself, and I’ve always said, ‘Jackpot ako.’ Kim’s the best wife ever and it’s nice to have someone beside me for the rest of my life,” he shared in the November 2014 issue of the magazine. The 35-year-old actor also shared details of their dream honeymoon which had them travelling across three continents to counties like Japan, Spain, UK, US, and France. “It was my first time in Spain. It was great, really beautiful. We took lots of photographs and met wonderful people and went to see many amazing places. Basically, when I think of Spain, I think of food,” he admitted. After visiting the French Riviera and Corsica in France, Echo recommended it as a must-see site because of its picturesque surroundings. “We highly suggest all you couples out there to check it out. I cannot explain how beautiful Corsica is, but you can check out Kim’s photographs on her blog kimcamjones.com and you’ll see what I mean. It’s the prettiest sight to see,“ he explained. The newlyweds say it was a good decision on their part to rent a car and figure out directions by themselves instead of doing the usual touristy thing and booking with a group tour. “We discovered little coves and beaches and places we’ve never heard of,” he added. Of all the places they visited, Echo said his wife was most impressed by the Big Apple. “Kim had to see New York. She fell in love with the place. The one thing she said was, ‘Can we get a place here?’ That’s how much she loved it. New York is just so incredibly interesting. When you’re there, you instantly feel like a part of it. The city breathes with you. You see interesting people and great and amazing places. New York was definitely my favorite, but I was charmed by France,” he recalled. 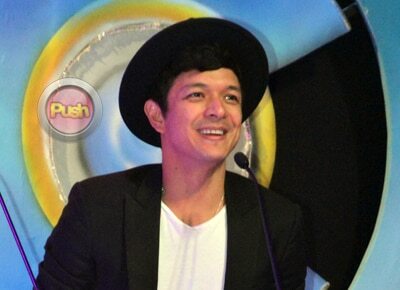 As with all celebrity couples, Echo said he has no qualms about sharing his family plans with their fans. “We’re looking into maybe two years from now. We’ll see, we’re praying about it. I’m feeling it’s a girl,” he said. To see the full feature on Jericho Rosales and Kim Jones, get your copy of the November 2014 issue of HOLA! Philippines at all leading newsstands and bookstores nationwide.